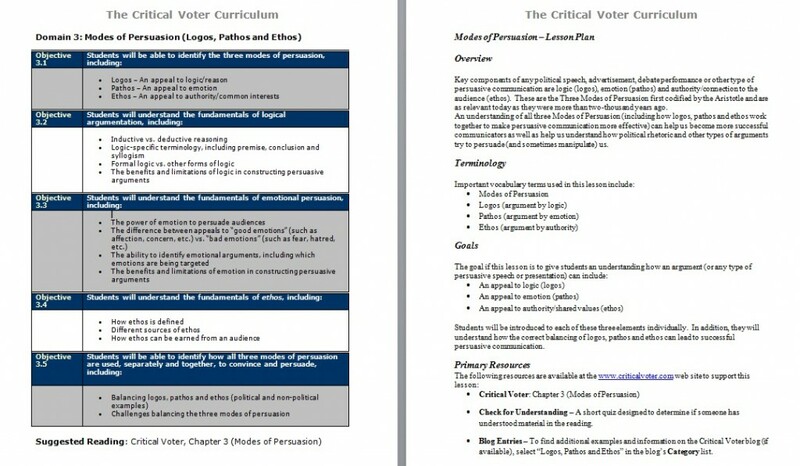 CRITICAL VOTER CURRICULUM – AVAILABLE NOW! If you are a teacher teaching a class in social studies, government, civics, or any other relevant subjects, the following free curriculum materials – including lesson plans and assessments – can help you use this year’s presidential election to teach critical thinking skills. Please contact me if you would like answers to the Check for Understanding quiz questions or help implementing any of this material into your classroom. Jonathan Haber has written the literary equivalent of a powerful vaccine. In this case, the disease is an electorate manipulated by media, politicians and zillionaires. Jay Heinrichs, Author of "Thank You for Arguing"